An Indian court has stayed lower court proceedings in the suit filed by the former Anglican bishop of the diocese of Calcutta challenging his dismissal by the Church of North India. On 2 April 2019 Justice Sabyasachi Bhattacharya of the Calcutta High Court halted the case filed with the city’s civil courts by the Rt. Rev. Ashok Biswas. In 2016 Bishop Biswas reached the age of 65 — the mandatory retirement age for bishops in the Church of North India. The CNI synod granted Bishop Biswas two one year extensions, but on 20 August 2018 ordered he step down and a new election for bishop be held. Bishop Biswas responded by filing a lawsuit in civil court saying the synod had acted improperly in not granting him a third extension. The 2017 meeting of the CNI General Synod amended the church’s retirement canons, permitting bishops to serve until the age 68. The Synod held this rule did not apply to Bishop Biswas as he had retired, and was serving in an interim capacity. 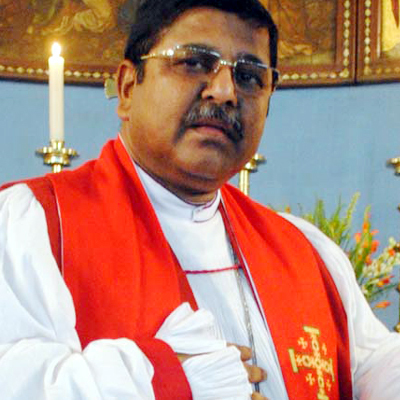 The synod’s motion to dismiss Bishop Biswas’s suit was rejected last month by the court, which ordered the matter to go to trial. However, an emergency motion filed with the High Court this week, suspended proceedings until the High Court could review the trial court ruling on the CNI retirement canons.